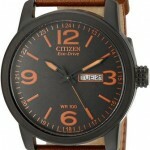 Hello today I’m doing a Citizen Eco-Drive BN0151-09L Review. I was quite curious when I first saw this watch as to weather or not I would really liker it. In my mind if you’re going to go down this route with the strap, the bold dark blue PU you really need to make it go with the overal style of the watch. Do you think it works? Really it’s down to each persons individual taste. 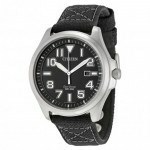 Some are going to love this watch, those people who like the G-shock etc in my mind, others wont like it. Think we’re going to have to take a close look. Anyway I’ll get on with my BN0151-09L review below and you can find it on Amazon today, enjoy. I was initially a bit on the fence. 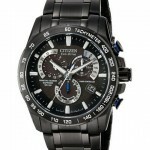 I love Citizen watches, especially their eco-drive range like this one (while you’re here check out my top 10 eco drive watches) I think the tech is eco friendly and I’m pro anything in that direction. For those who aren’t aware eco drive watches power themselves from the sun, never requiring a battery change, pretty neat eh. I mentioned being concerned if this large dark blue strap would work but luckily for me they’ve gone for a good sized 42mm casing with a hard wearing durable look to it. If it was a smaller case I would definitely be put off. I also want to point out the position of the crown, I love it. It’s nice to add these little differences to watches to change up the style every now and then. The type of glass used here is a mineral. This is harder wearing than acrylic but not as strong as sapphire. Quite frankly you shouldn’t be expecting a sapphire glass here, that’s for the more expensive watches over £300 normally. All in all mineral glass is what I was expecting so I’m quite happy with that. It will resist most scratches and it’s a lot better than acrylic. The diameter of the watch casing is 42mm, this is classed as large as is almost the standard you’ll get with most watches these days. It has a bit more of a chunky durable feel with a thickness of 12mm, also classed as large. This all ties in quite nicely with the bold 18mm wide strap. The dial is definitely going to be noticeable on your wrist if that’s something you like to go for. The watch features a standard date display but it’s found at the 4 o’clock position rather than your traditional 3 o’clock. I quite like this features as it’s a little different but standard out. I was expecting anything more in the date display area so again I’m happy with this. The strap itself is made out of PU and features a standard buckle clasp. The width is 18mm which is slightly smaller than average but makes the dial and casing stand out more on the wrist. It’s actually quite thick though compared to a normal strap so gives that durable feel again. All in all, yes I like the watch. A few features I want to touch upon that I haven’t mentioned earlier. The watch has a water pressure rating of 20 bar which is pretty good. Those of you in the market for a divers watch will know what you need in that respect, or just check wikipedia (no point me re-writing something that’s already been done so well). Also this watch has luminous hands and markers making it easier to read in dim light conditions. Main thing I’m looking at for me though is the style and the features, being the eco-drive. I just love my eco drive watch and have a few in my collection. My concerns about the strap were washed away and I’m pretty fond of it now having taken the time to properly examine it. If you’re after a pretty cool looking watch that’s going to be noticeable (you’re after those compliments right) then this could be for you. 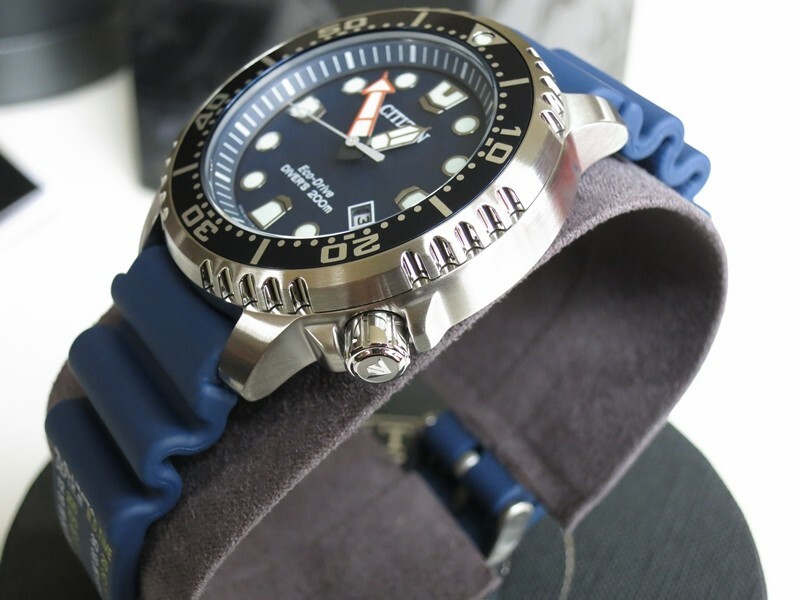 If you’re not fussed about the divers bit – check out my top 21 watches under £200 as you may find something pretty affordable that you like just as much. If you’re after a nice looking simple design watch that’s made of great parts at an affordable price, well you’ve got it all here really. 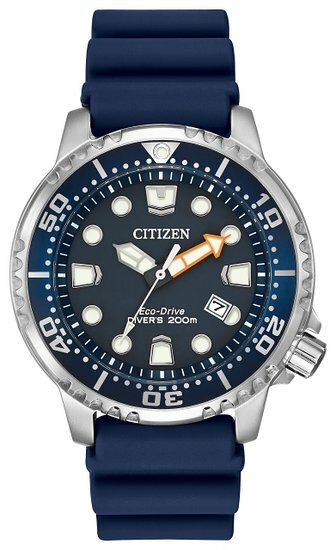 Also it’s part of Citizen’s Eco-drive range meaning you will never need to replace the battery as it’s powered by sunlight, another money saving edition.